Two major developments in the international trade arena loom large over the poultry and sugar sectors in South Africa. 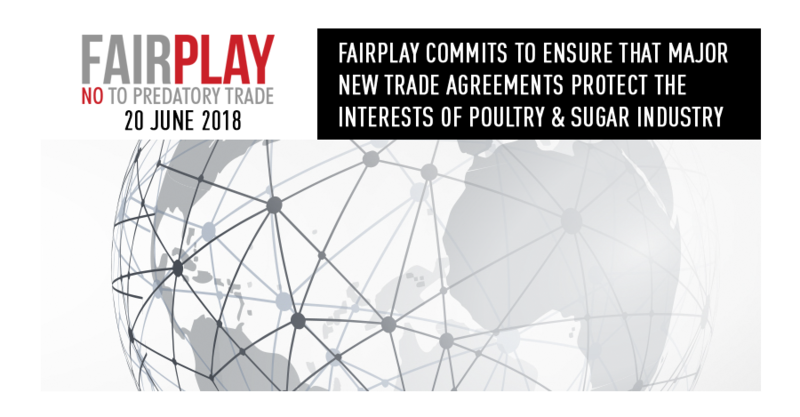 The FairPlay Movement is monitoring these developments closely and intends to forcefully advance the interests of sugar and poultry producers, South Africa’s most sensitive agricultural sectors. One is the signing of the African Continental Free trade Agreement (AfCFTA) and the other is pending negotiations between the UK and South Africa to enter into a post-Brexit trade agreement. It is still early days for AfCTA and inevitably there could be winners and losers and only time will tell if the agreement will hold and fulfill its good intentions. By creating a single market for goods and services the hope is that the agreement will significantly boost intra-African trade. The UN Economic Commission for Africa (UNECA) estimates that the agreement’s implementation could increase intra-African trade by 52 percent by 2022. On the other hand Sylvester Bagooroo at the Third World Network thinks the treaty focuses too much on cutting tariffs without sufficient consideration of the varying production capabilities of African countries. Only time will tell how these issues play out. But for sensitive agricultural sectors like poultry and sugar the recommendation from the AU that “the new agreement with the European Union should be separated from existing European Economic Partnership Agreements presents an opportunity for African countries to free themselves from EU trade agreements that benefit the highly subsidized European sugar and poultry producers. The one-sided agricultural trade approach of the EU that demands that African trading partners open up their markets while the EU market remains closed to African producers through non-tariff barriers. The second major development relates to Brexit and future trade between South Africa and the EU. As noted on an earlier post by FairPlay recent changes to EU sugar subsidies through “Voluntary Coupled Support” pay Europe’s farmers to grow sugar beets, seriously impacting the trade in sugar that is the backbone of national economies in Africa and elsewhere. 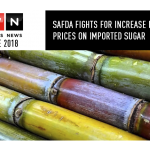 Given that there now are no restrictions on how much tonnage can be marketed internally in the EU, the available market for developing country sugar industries in the EU has been reduced and prices in the EU are now below the equivalent price on the world market. 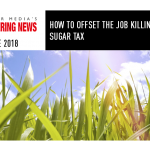 Already some in the UK are calling for a new trading paradigm that trashes the EU sugar policies and promotes a policy that is right for the UK and not for EU sugar beet producers. In Britain support payments for sugar beet production have become a symbol of protectionist European agricultural policies that many hope Britain will leave behind. As Britain begins to assess and formalize international trade policies independent of the EU it has an opportunity to recognize the vulnerability of certain agricultural sectors of African countries like sugar and poultry and to consider the devastating impacts on rural communities of distorted and heavily subsidized global markets. Ultimately both of these major international trade developments are of critical importance to the poultry and sugar industries in South Africa. FairPlay will continue to monitor and to mobilize stakeholders as needed to ensure that these agreements support our efforts to stop the devastation caused to South Africa’s rural communities by EU dumping.